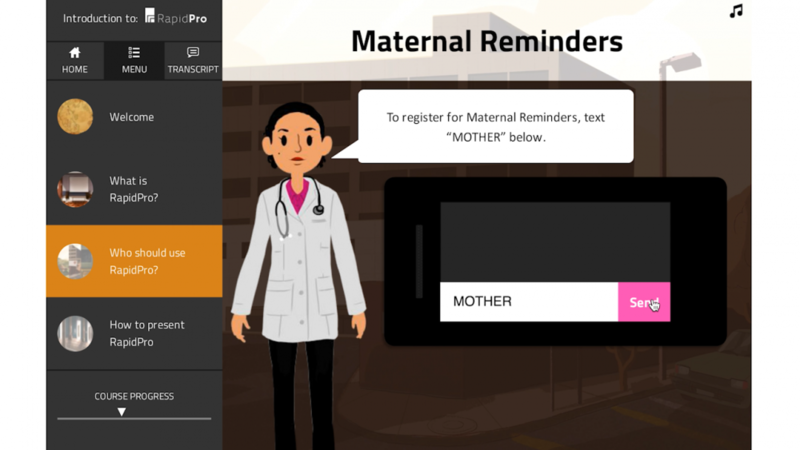 RapidPro is a powerful open-source software that allows anyone to easily build and scale mobile-based applications and services from anywhere in the world, without the help of a software developer. 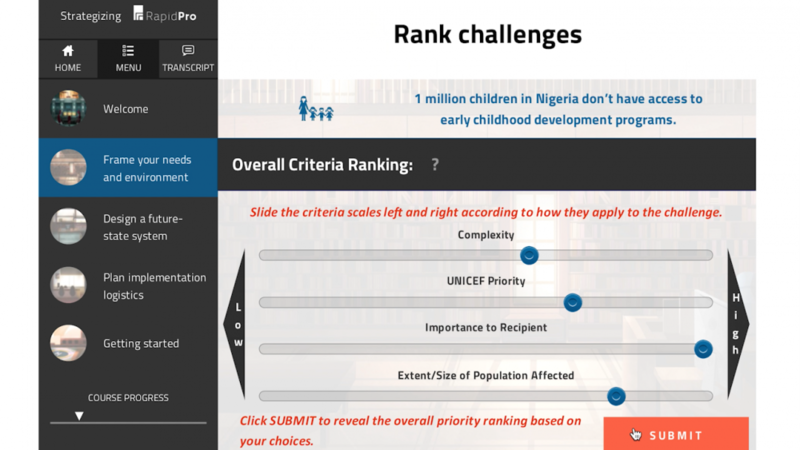 Module 1 provides a broad introduction to RapidPro including features, functions, and examples of current UNICEF deployments. 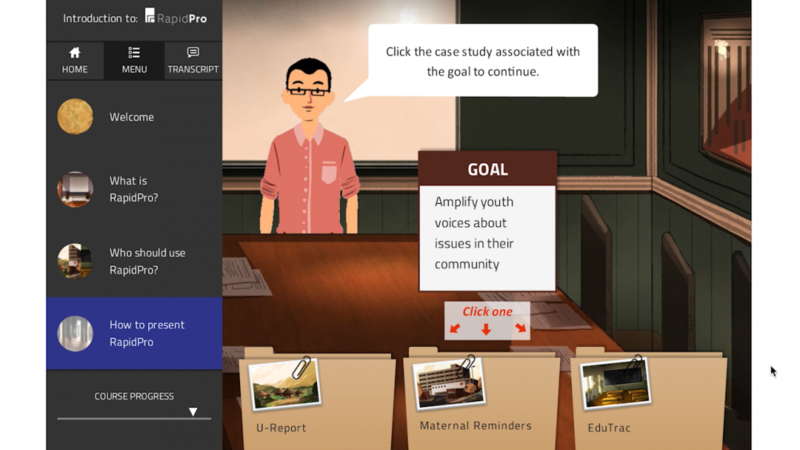 Module 2 guides learners through the RapidPro Deployment Toolkit, an essential planning tool to understanding how RapidPro can be used to support international development activities and communicate this to others.